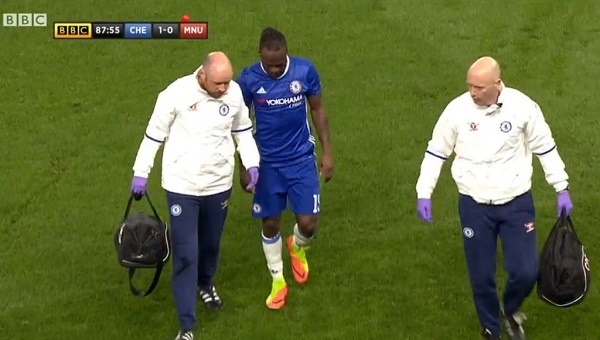 Nigeria international, Victor Moses is back in training with his Chelsea teammates after an injury scare in his last outing in the FA Cup against Manchester United. Moses limped off and was replaced by Kourt Zouma in the latter stages of the game last Monday. Reports emerged that the fleet-footed winger may be unavailable for Nigeria in the upcoming friendly games against Senegal and Burkina Faso. However, Chelsea Coach, Antonio Conte has served some heart-warming updates as Chelsea get set to face Stoke City on Saturday. “Victor today he trained well, I think he is available, ” the Italian gaffer said at his pre-match press conference. “For the game against Stoke it is important to check a couple of situations." The Super Eagles will be up against Senegal’s Teranga Lions on Thursday, 23rd March before taking on the Etalons of Burkina Faso four days later. Both matches will be played at The Hive, home ground of Barnet Football Club.